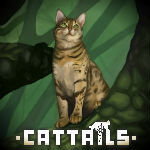 Corrupt a Wish | Cattails: Become a Cat! Should be pretty easy. Just corrupt the wish the person above you makes, and then put a wish for the next person to corrupt! Okay, but it will be the worst cake you ever ate. Granted, but you must eat humans as food instead. I wish to be pretty. Done, but you will never find a life partner, and others will be envious of you and hate you. Okay, but your family is depressed.